Nothing feels more like fall than pumpkin picking, hay rides and corn mazes. 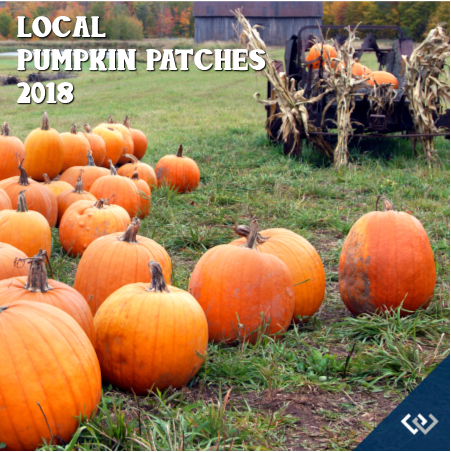 Get your latte in hand and head out to any one of these great, local farms to have some harvest fun and find that perfect jack-o-lantern to light up your porch. Times, dates & activities may change, please use the links provided for details. Pumpkin patch, tractor-pulled hay rides, fresh honey, pre-picked produce, farm animals, snacks and refreshments.